Shop Perry Ellis 360 Degrees for Men Eau de Toilette Natural Spray (1.7 oz. )1.7 oz. 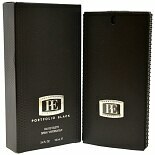 Shop Perry Ellis Portfolio Black Eau De Toilette Spray (3.4 oz. )3.4 oz.